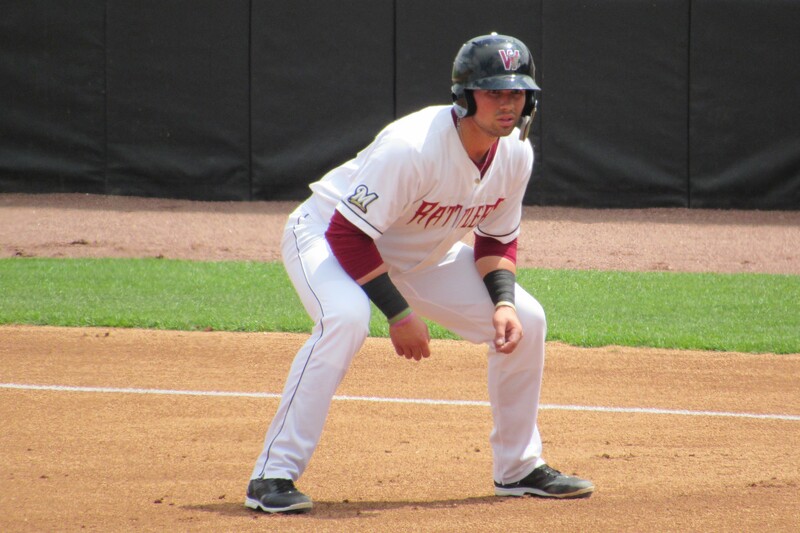 Milwaukee Brewers prospect Payton Henry, who was the starting catcher for the Wisconsin Timber Rattlers this year, won a Minor League Baseball/Rawlings Gold Glove Award for defensive excellence at his position this season. Henry committed only three errors in 801 chances during 93 games as a catcher for the Timber Rattlers this season. That equates to a .996 fielding percentage. He thwarted 43.8 percent of would-be base stealers, throwing out 46 of the 105 who made the attempt while he was behind the plate. That percentage ranked third in the Midwest League. Henry recorded 78 assists, picked off four runners, and was part of four double plays defensively. He allowed only six passed balls in 805.1 innings. Offensively, the 21-year-old batted .234 with 10 homers, 15 doubles, and 41 RBI in 98 games. Rawlings awards Gold Gloves to one MiLB player per position, chosen from qualifying players in the ten domestic-based, full-season minor leagues. This entry was posted in Gold Glove Awards, Midwest League, Wisconsin Timber Rattlers. Bookmark the permalink.